The Eritrean People’s Democratic Party or EPDP (the one which is led by Mr. Woldeyesus Ammar) is having its organizational congress as we write this. 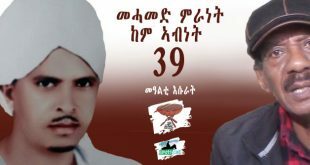 Instead of sending the customary, the politically correct and mostly empty “congratulatory telegram”, we think it would be more meaningful to the party, to its members, to our readers and to the Eritrean resistance at large if we articulate the reasons for why the EPDP has a tense relationship with everyone—including the Awate Team—and what, if anything, it can do to change that. Given its regrettable persecution complex, its affinity for victimhood, we doubt it will try, but we will try to point it out anyway. 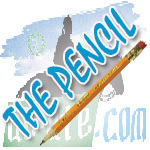 Reading the occasional Internet cross-fire between awate.com writers and EPDP writers, one could very easily conclude that there is personal acrimony involved. From our standpoint, it is neither acrimony, nor personal. Rather, it is a disappointment one feels on an organization that one had immense expectations on. It is unfortunate, but watching the actions of EPDP over the last 5 years has been the equivalent of observing a spoiled child squandering his inheritance. 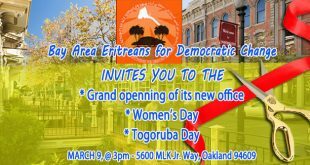 There have been dozens of Eritrean organizations splitting and merging over the last ten years. Of all those organizations, it was only the split of the ELF-RC, a key component of EPDP, that moved us to offer to mediate and attempt reconciliation. This is, or should be, public knowledge. It was a futile effort; but we tried in good faith. What may not be known is that we always saw what became EPDP as a positive counter-balance to the organizations that were organized on religion and or ethnicity and we were involved in outreaches, campaigns to help them become a more formidable force. 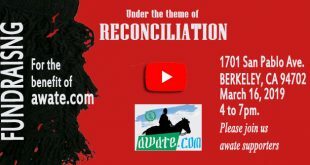 It was our belief that while the religion and ethnic rights based organizations (that the ELF-RC disapproved of), are as legitimate as any other organization, had every right to pursue their goals, Eritreans seeking organizations that are “national and secular” should be presented a viable alternative. Regretfully, the EPDP, since it was in its planning stages, has focused its entire energy on presenting itself as the only nationalist organization in the Eritrean arena. 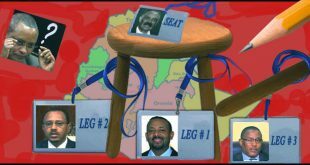 It has attracted a constellation of like-minded individuals whose entire energy and focus was and is to de-legitimize the Eritrean opposition movement. Since its inception, EPDP has been the eye of the hurricane of every disruption in the Eritrean opposition movement. It has been perfecting the politics of parliamentarians: obsessing over minutiae, staging walkouts, and then issuing self-congratulatory press-releases for its various actions. The party has become a meta-party: its entire existence is defined by what it thinks and says about itself and other parties in general. It has become the ultimate navel-gazing operation. It has become a party of party coordinators: planning political engagements, political weddings, and political anniversaries, and then having post-engagement and post-wedding parties. 1. Culture Of Feuding: The EPDP often congratulates itself on bridging the decades long divide between the Eritrean Liberation Front (ELF) and the Eritrean People’s Liberation Front (EPLF) because it is made up of members of the two organizations. Never mind that this bridge to nowhere had already been perfected by Saghem, a splinter of the ELF, who joined the EPLF in a “unity” congress with much fanfare in the 1980s, but ended up just being absorbed into the PFDJ. What the EPDP also forgets is what the Eritrean people hated the most about the era of the struggle was the civil war, and Eritreans fighting each other when they had an existential threat facing them in the presence of Ethiopia’s Haile Selassie and Mengistu Haile Mariam. For all its talk about how it has managed to bridge the ELF-EPLF divide, what the EPDP has managed to do is to retain the worst culture of that era: attacking, relentlessly, fellow strugglers while doing virtually nothing to challenge Eritrea’s existential threat: Isaias Afwerki and his regime. Congresses are good opportunities for self-reflection and planning: we ask the EPDP to ask itself this question: “how much of our time and energy has been devoted to attacking and destroying our political opponents? And how much time and energy was devoted to shortening the political life of Isaias Afwerki and his regime?” If the EPDP is honest, the answer which is revealed will not be very flattering. 2. Double Standards: The political organizations that make up the Eritrean Democratic Alliance (EDA) view the EPDP as an organization which has a highly self-inflated view of itself, a rigid organization which is entirely incapable of the art of diplomacy or negotiation. It is entirely within the realm of possibility that all political organizations who make this claim are wrong or mistaken. But not likely. The EPDP is made up of the Eritrean Democratic Party (EDP) and the organization formerly known as Eritrean Liberation Front-Revolutionary Council (ELF-RC, which later changed its name to EPP.) 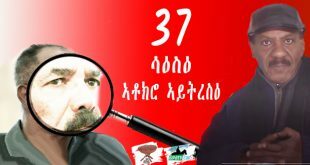 For the first few years of its existence, the EDP cursed the Alliance, and using language borrowed from PFDJ, referred to them as “those who bled us.” It criticized their presence in Addis Abeba and made a big show of never, ever, ever going there for as long as the Ethiopian government is occupying Badme. The ELF-RC, in turn, had staged dramatic walkouts because it felt that given its heft (another inflated self-assessment), it should have the leadership role in the Alliance. When it suited its needs—and the needs of its bag-men and brokers in Europe—the EDP went to Addis Abeba. To our knowledge, the Ethiopian government still occupies Badme. 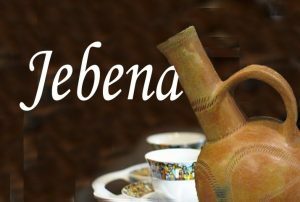 The EDP never explained why it was wrong to visit Addis Abeba at different times since 2002, but it was perfectly right when it chose to visit Addis Abeba. Similarly, the ELF-RC and all its walkouts reversed its decision—despite the fact that nothing had changed. It is this double standard which the EPDP indulges itself in that rub people the wrong way. The party seems to say: we are for peaceful and democratic means of struggle, except when we are under attack, then we reserve the right to be un-peaceful. We are peaceful now but at “different phases”—of our choosing—we may choose to be un-peaceful. It is not our purpose here to discuss the merits and demerits of peaceful or armed struggle. For every “are you saying that it is ok to point your gun at fellow Eritreans?”, there is “are you saying that if a bully who understands only violence is beating up a weak Eritrean you won’t jump in to physically stop the fight?” Our purpose is to remind the EPDP that it is the inheritor of the legacy of the late, the great Seyoum Ogbamichael and he spoke often and forcefully about the moral imperative of using force when justified. Our purpose is also to remind the EPDP that it is its Double Standards that isolate it from the rest of the Eritrean opposition. 3. 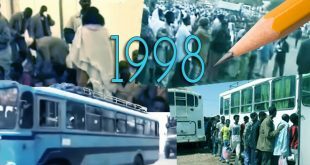 Squandering Legacy: We began this article by talking about how we saw the former ELF-RC and the future EPDP—based on its history, based on its membership—to possess unique insights that will provide the required strategy to bring about change to Eritrea. We had hoped that the EPDP would be the antithesis to the PFDJ—one that understood what democracy, justice, liberty, equality means within the context of Eritrea.We are sorely disappointed. The first warning signs were its embrace of the so-called Eritrean flag—which, if anyone knew the ELF-RC knew—is nothing more than the personal avatar of Isaias Afwerki. To those who claim this is an Eritrean flag, we ask them to tell us which committee designed it, when it was designed, and what gave it legitimacy. Symbols are important: this is why the fighters in Benghazi, Libya are not waving Qaddafi’s Green Flag. Shortly after embracing the flag, the EPDP started to articulate what the flag has come to symbolize: all the behavior that Eritreans have come to associate with the PFDJ—haughtiness, dismissiveness of others, my-way-or-the-highway attitude, and endless lectures about the correctness of its path. And what is it that the EPDP believes in anyway? At this stage, there are only two things certain of EPDP: (1) it has a bland political program which inspires nobody; (2) the EPDP is absolutely certain that this political program is superior to any other program. Several Eritrean political groups state that they wish to see Eritrea governed under a “decentralised” and or a “federal” system of governance. I believe this is another pre-mature political choice, albeit its successful historical record for heterogeneous societies. This means that it is no longer even clear that the EPDP—despite its political program—believes in decentralized form of government. Whether it does or not is not as important as the fact that it is not clear what it stands for. 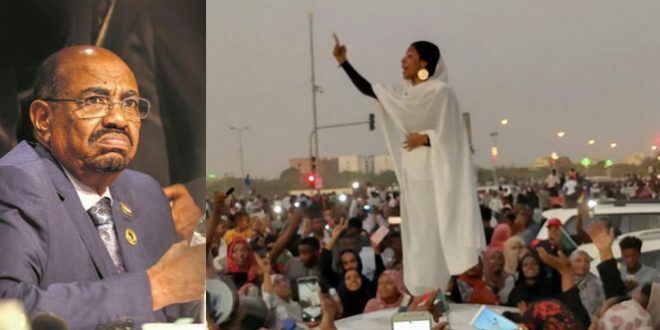 From what we can tell, the only thing it believes in—rigidly, enthusiastically, even zealously—is that it is the premiere Eritrean political organization and it should dictate all the terms of how opposition should be waged. It should decide when the National Conference is held. It should decide how many members of the National Conference should be EPDP loyalists. It should have veto power on who the delegates are. It should decide on what the charter should be. Why? Because it just is so. But as far as what is it that it believes in, it is a moving shadow! Maybe it believes in land reform, maybe it doesn’t. Maybe it believes in decentralized form of government, maybe it doesn’t. Maybe it believes in peaceful struggle, maybe it doesn’t. Maybe it believes in the need for having an Alliance, maybe it doesn’t. Maybe it will negotiate with the Eritrean regime, maybe it won’t. Maybe the Ethiopian government is a partner, maybe it isn’t. Conclusion: Actually, we do not believe that the EPDP will go through a period of self-reflection or that it will give any importance to our criticism. We would be shocked if it did. Actually, we expect them to pull one of their favorite cards—the Prosecuted Card—to complain about how everybody is picking on them. 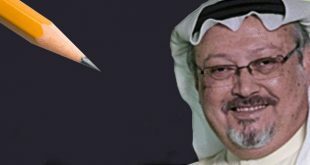 In reality, we are writing this to let our readers know that we intend to criticize the EPDP for the destructive role it has had on the Eritrean opposition and that it is not personal—nor is it, as its addiction to victim status will allude to it—driven by our allegiance to other political parties. 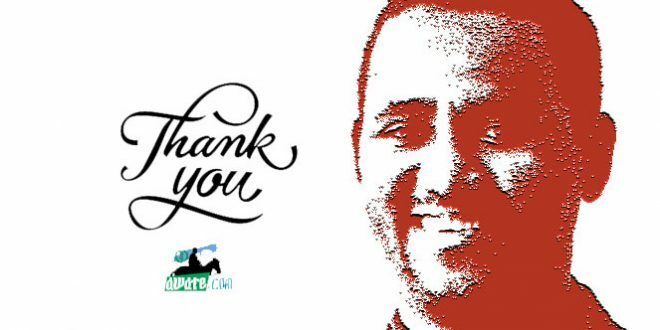 We simply believe that to INFORM is one of our core missions and we intend to live up to it—even, and specially, when we see what was once a promising organization has squandered its legacy and has chosen a spoiler role within the Eritrean resistance movement. Our loyalty is to the Resistance Movement, not to a party or organization, and anyone or anything whose entire focus is on weakening the Eritrean Resistance should be named and shamed. And we just named the EPDP; we very much doubt we can shame them. You must have someone try your Family and Think again or ask them if they would like to be led by you. 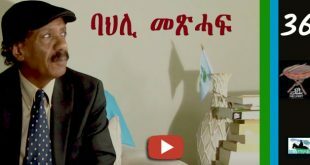 I would rather be led , by a mad cow , than by EPDP, and I am no politician, and I do not need an encyclopedia…to point out that EPDP is PFDJ’s other face of the coin….And rest assured, a good number of people know this…..I guess that is what most people feel, the pain of the people. But they think Eritrea is a country as fake as $3 dollar bill !!! 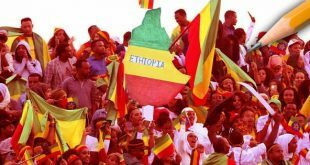 I do not have hidden agenda, and I am strongly opposed to any MAHBER ANDINET agenda, it is not fair to our neighbours, the Ethiopians. Awate, Asmarino & of late, Assenna seems to tackle a necessary…even sensitive, issues. 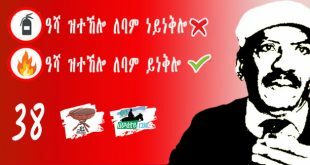 I am not against Eritrea, because I do not support PFDJ, that would be silly. But, can Eritrea exist peacefully, under PFDJ´s Chaos?=?? Some of us have a huge doubt??? That is why people are not running to the opposition , it is not really, that the opposition are deficient…although …there is some deficiency…..